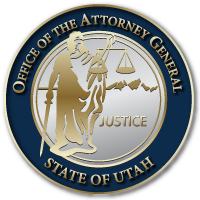 SALT LAKE CITY – Today, Utah Attorney General Sean D. Reyes announced the filing of three civil forfeiture complaints for merchandise and currency seized on June 19th from seven pawn shop locations by the Attorney General’s Justice Division. The complaints come as part of an ongoing, multi-agency investigation into local pawn shops. The pawn shops allegedly engaged in a pattern of purchasing new-in-the-box items under circumstances that clearly should have alerted pawn shops that the merchandise was stolen. Included in the allegations is a pattern of purchasing stolen property from the same customers repeatedly, as well as a history of possession of stolen property. The seizure of the merchandise and currency occurred during a multi-agency operation led by special agents from the AG’s Investigations Division and detectives from Unified Police Department. The complaints seek to forfeit hundreds of new-in-the-box-items that the Attorney General’s Office alleges were stolen from various local retailers and then sold to pawn shops. Agents and detectives also seized currency from the pawn shops which allegedly represent proceeds from the sale of stolen property. The pawn shops from which the merchandise and currency were seized are: Sportsman Fastcash with locations in West Valley and Salt Lake City; Xtreme Pawn with locations in Kearns, West Jordan, Riverton, and Lindon; and Big Dog Pawn & Jewelry located in Murray. Numerous local retail establishments whose stolen property is believed to have been seized from the possession of these pawn shops are included in the forfeiture action. The forfeiture action will allow retailers the opportunity to recover stolen property. Property and currency not claimed by the rightful owner and forfeited to the State by the court is paid over to the Utah Commission on Criminal and Juvenile Justice to be dispersed according to state law. The case numbers for each filing are as follows: Sportsmans Fastcash – no. 180906371; Xtreme Pawn – no. 180906372; and Big Dog Pawn & Jewelry – no. 180906356. This entry was posted in Recent Posts and tagged pawn shop raids, Unified Police Department, Utah Attorney General on September 17, 2018 .